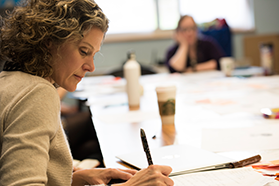 Research that informs educational policy and practice is central to the mission of the College of Education and constitutes a core responsibility of all faculty. Our research also provides crucial intellectual opportunities and financial support for our students. 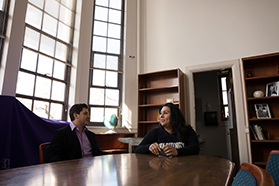 The Office of Research Support (ORS) assists COE faculty with development and submission of grant proposals for external and internal funding; human subjects applications; and completion of grant reports. For additional information, click on a category below. 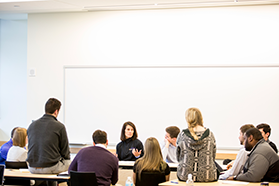 The Associate Dean for Research serves as a central point person for questions about research and faculty funding, including advice on: tailoring proposals to funding agencies (federal and foundations), allocation of faculty effort on grants, and internal funding for faculty research. The Grants Manager directs the pre-award proposal process for investigators in the College of Education, preparing grant applications, working with OSP, and submitting applications to sponsoring agencies. Proposals must be ready to submit and received at OSP three days before sponsor's deadline. GIMS are statements of policy related to grants and contracts at the University of Washington. Complete for any grant proposal you plan to submit.